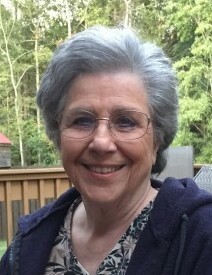 Fran Gaspard Smith, age 82, resident of Madison, AL., passed away on April 5, 2019. She worked as the Assistant to the Rector at St. James Episcopal Church. Fran was a native of Louisiana and lived the last years of her life in North Alabama near her daughter. She passed away comfortably and peacefully with her daughter by her side. Fran is survived by her daughter, Susan Peterson and husband M.C. “Pete”; son, Dean Justin Smith; grandchildren, Justin Pelton, Abigail, Blake and Cortland Peterson and Justine Smith. She is preceded in death by her husband, Charles Sheldon Smith; parents Curtis Anthony Gaspard and Dorothy Tullos Lowery; sons, Charles Peter Smith and Norman Thomas Smith. Visiting hours will take place at Resthaven Funeral Home on Saturday, April 13, 2019 from 12:00 pm until services at 2:00 pm, Pastor Michi Head will be conducting the funeral service. Burial will follow at Resthaven Gardens of Memory.